As of now, from info found on the previous page, you created the frame. There is much more left, so we'll pick up from where we left off by covering how to add a wooden texture. 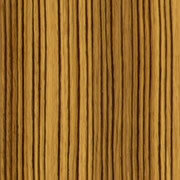 Before we start, let's first take a look at the picture of real wood grains. Now grab the brush tool and pick the appropriate size (from the size list on bottom of the toolbar), smaller is preferable. Now select dark tone color for brush, for that copy the hex value and paste in the color selector dialog. Now for drawing lines we will use shift key so they are drawn straight. So press the shift key and click on start point and drag till the end of the frame and then release the mouse. Create 2-3 dark lines using this method. The actual reason for selecting brush tool rather than line tool is that stroke drawn with brush tool will vary in thickness even in the straight line. This will be more suitable for grains we want to create. So finally we have the basic frame with wooden material ready. Now in order to make it look like a real frame we need to add some 3D effects. To achieve that we are going to use Flash 8 filters. The last page is next. Let's go there now!